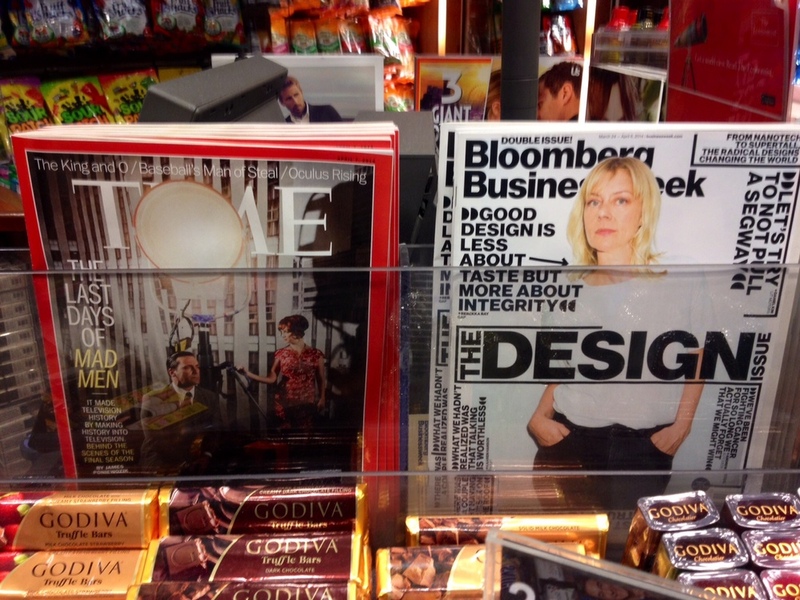 It comes as no surprise that the official announcing of the next and last season of Mad Men comes during the same month that Business Week publishes the Design Issue where "Good Design is Less About Taste But More About Integrity". These words couldn't be…well…closer to the truth. It signifies the future. In a world of corporate advertising buffs soul-starved on Madison Avenue with the mass exodus heading to Brooklyn in wild herds, the idea of the media bowing for integrity in design is a sigh of relief among all designers, creative experts, and entrepreneurs alike. Finally, FINALLY the world is noticing! Because truthfully, communication is not meant to seduce the public. Communication should really be about sending a message of honesty. Of a world better served. That the be-end-all of sharing is not necessarily for profit, but for principle. For giving with a cause in mind. Because the world is bigger than a bubble. And for this, I call upon a revolution. To honor beauty and utility (form and function) as a measure facilitated by true goodness. That we create not just for profit, but for higher purpose, one that is meant to actually make a difference in the world. This is why I'm here. To speak to you about a life well lived where design and business are meant for the pure at heart in today's digital age. Because I know that navigating can be tough, especially as you don't know who to turn to anymore, who to believe. I believe in honesty, integrity, and beauty with a purpose. Please join me on this path, won't you? The world is relying on you.